One last dessert before we start the work week 🙂 and what could be better for curing a case of the Mondays then Chocolate!! Some of you might recognize that this recipe is going to be very similar to the Oreo Truffle recipe that I posted a little while back, but I liked the Oreo truffles so much I wanted to try it with a different cookie. These cookies are my absolute favorite store bought cookies. If you haven’t tried them yet, go get some cause you are missing out! For this recipe you are going to need two packages of these cookies. Put one package at a time in your food processor, process completely, then transfer crumbs to a large mixing bowl. 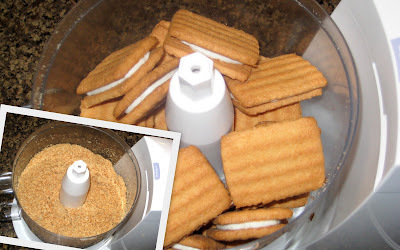 Then process your second package of cookies and add it in the bowl. Add vanilla, softened cream cheese, and cream then mix well. No white should remain from the cream cheese, and the dough should look of an all over even consistency. Line a cookie sheet with parchment paper. Role the cookie dough into balls, about 1 inch in diameter, and place on the covered cookie sheet. Refrigerate for about 1 hour. After cookie balls have refrigerated, melt chocolate chips over a double broiler. This is easily done by taking a small pot and filling with water. Bring the water to a simmer and then pace a heatproof boil over the pot. Add your chocolate chips and melt, stirring occasionally while melting. The bowl will get hot so be careful. Cover 2 separate cookie sheets with parchment paper and set aside. When your chocolate is smooth and all clumps have melted away, drop cookie balls into melted chocolate and coat completely. 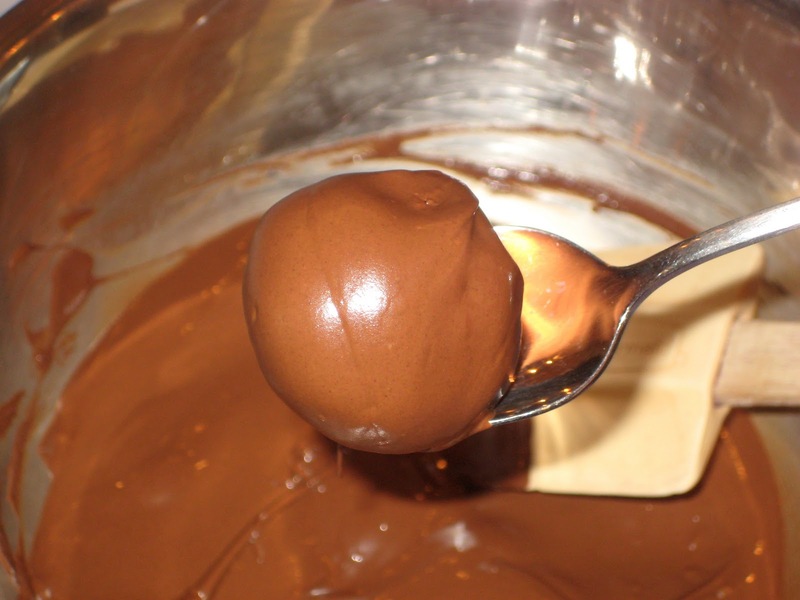 Use a small spoon to scoop the chocolate covered ball out and place on prepare cookie sheet. Cool chocolates in the fridge for about 10 min. If desired drizzle or pipe more melted chocolate over the truffles for a professional look. Let truffles cool in the refrigerator completely. Also store any leftovers in the refrigerator. Quick tip: if you are serving these to guests, take the truffles out of the fridge 30 min. before serving to allow the chocolate to soften. They will taste the same either way, but the texture is so much more appealing when the outer layer of chocolate isn’t rock hard. Enjoy!